Torere Macadamias Limited started the 1st regional Macadamia Grower Cluster at Torere in 2008. Four macadamia growers within the region have 3,000 macadamia trees between them. 1500 macadamia trees are currently producing with the balance producing from 2016 onwards. The Macadamia Grower Cluster currently shares the expertise of an Organic fertiliser supplier and harvesting, dehusking, drying and storage facilities provided by Torere Macadamias Limited. Torere Macadamias hold 3 ton of NIS on site in Gisborne – 2ton in drying bins and 1 ton in the drying room before despatch to the macadamia Processor. Torere Macadamias Limited harvested 8ton Nut in Shell in 2016 and this tonnage is projected to reach 25ton in 10 years. Torere Macadamias Limited currently utilises an external macadamia processing factory to process 80% of their nut in shell; the balance is processed by Rod for ‘hot roasting’ at the local Gisborne Farmers market outlet. The factory processed kernel is sorted into style sizes, vacuum sealed in 5kg bags and returned to Gisborne for Vanessa to disperse to both buyers and suppliers for value-adding. Vanessa is developing the product range and arranges packaging, sales and marketing both locally and nationally. Apart from the chocolate coating, all value-add products are now being produced in Gisborne. Visit the Shop online to view and purchase from a delicious range of healthy wholesome organic macadamia nut products. 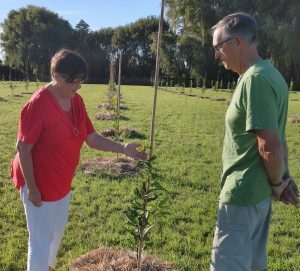 Gisborne and East Coast growers and tree numbers are increasing ahead of the regional development projections. The positive uptake and the great interest shown by land owners to plant macadamias; is a reflection of the energy and effort by Vanessa to create a new horticulture industry in the region. 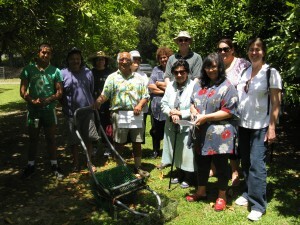 With the existing number of Gisborne growers supplying Torere macadamias currently and the projected increase in production from new plantings in the region from 2018; setup of the Gisborne regional grower cluster is planned for 2017/18 with the establishment of the Tairawhiti/East Coast macadamia grower cooperative following. 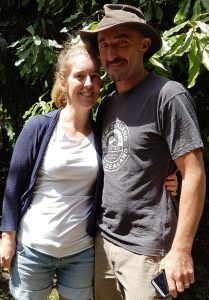 The Tairawhiti/East Coast macadamia grower cooperative will source Joint Venture investment partners to build a processing factory, food production facility and tourism cafe outlet in Gisborne ready for the 2019/20 regional harvest. In the meantime current research to develop health and beauty products from the oil and honey from macadamias will add extra high value products to the existing healthy high value food products for this region.